Portable components always work easiest when you do not have to think about them. This was the basis on which the EK 100 G3 was developed. Its adaptive-diversity technology provides excellent reception at all times. This receiver is designed to securely attach to a camera's shoe using a clamp mount. 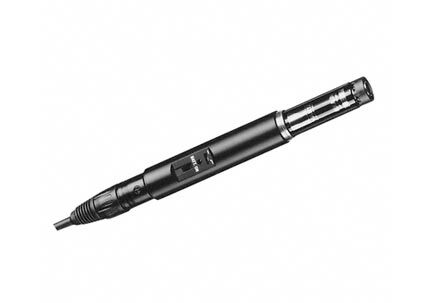 The EK 100 G3 also can synchronize to a G3 transmitter with a simple push of a button. The EK100G3 is compatible with the optional DC 2 external adapter for extended use without batteries where a 12VDC source is available. It is nice when you can concentrate fully on the picture because you know the sound is reliable. This camera receiver allows you to do just that. Equipped with adaptive diversity, the camera receiver ensures reliable reception. Five frequency ranges with up to 75 MHz switching bandwidth also provide optimum flexibility for components of the 2000 series. 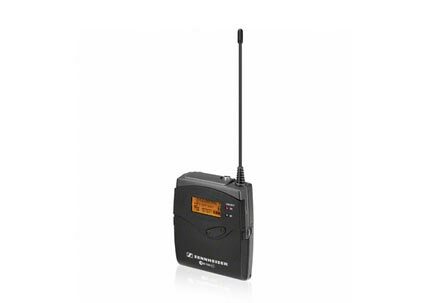 The transmitter settings can be synchronized quickly from EK 2000 using infrared technology. 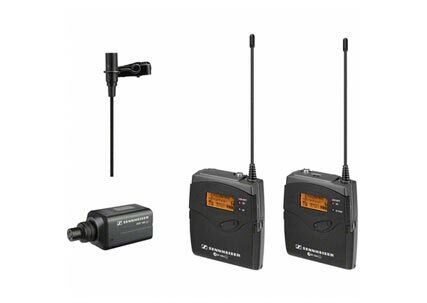 This wireless monitoring set's receiver uses adaptive-diversity technology. 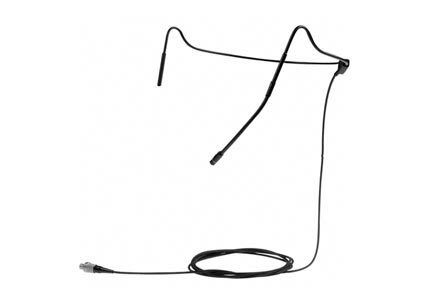 The earphone cable serves as a second antenna, which considerably reduces the number of drop-outs. Combined with IE 4 ear-canal phones for precise sound reproduction, EK 2000 IEM conveys an authentic acoustic pattern of live sound and allows you to monitor your own performance perfectly. 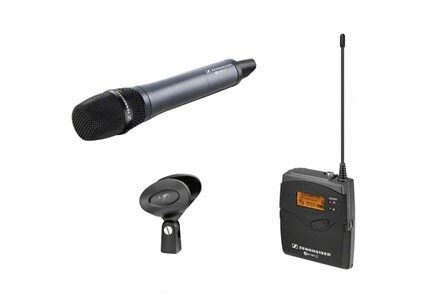 The EM 3731/3732-II series is characterized by high transmission reliability, exceptional audio quality and simple operation. A switching bandwidth of up to 184 MHz, more than double that of its predecessors, combined with a range of connection options guarantee optimal flexibility for daily use. The integrated Ethernet connection means that the receivers can be linked into any network. 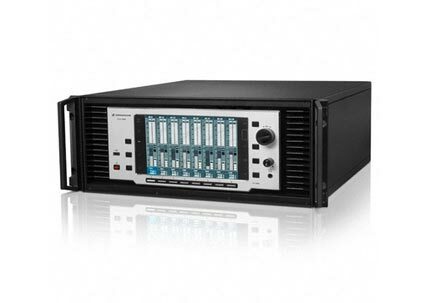 The AES3/EBU digital audio interface facilitates a direct connection to digital mixing consoles. 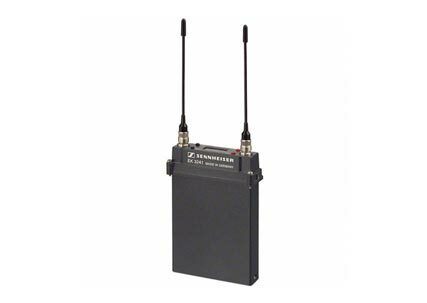 Sennheiser's "Wireless Systems Manager" (WSM) software allows you to monitor and control all receiver operating statuses remotely. In addition, this versatile software now lets you reset the channel allocation at any time and store it as a "Scene". A new innovative WSM feature for multi-channel operation is the immediate identification of the channel allocated to each receiver at the press of a button. 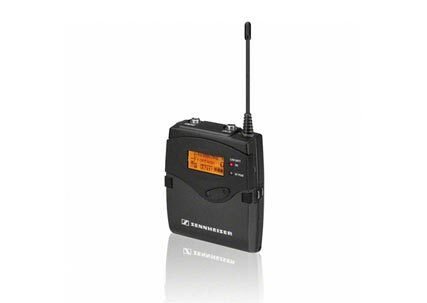 A high-contrast display and intuitive user interface complete the scope of features of this high-quality receiver. 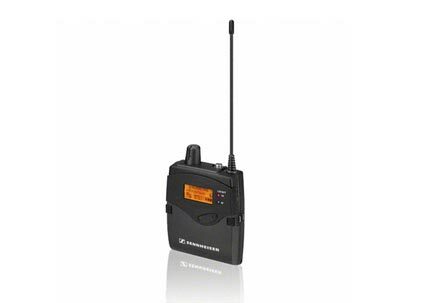 The EM 3732-II is available in L, N and P frequency variants. 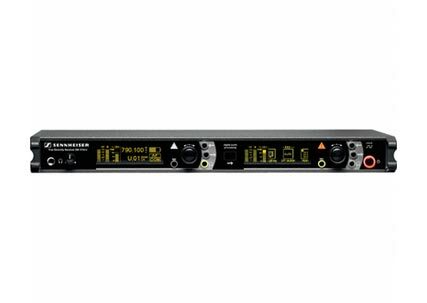 Like the legendary Sennheiser EM 1046, the new multichannel audio receiver EM 9046 is destined to become a reference standard throughout the entire broadcast and theatre production industries. The receiver with its 328 MHz of switching bandwidth covers the UHF range from 470 to 798 MHz, incorporating up to 8 receiving channels in the system units housing. 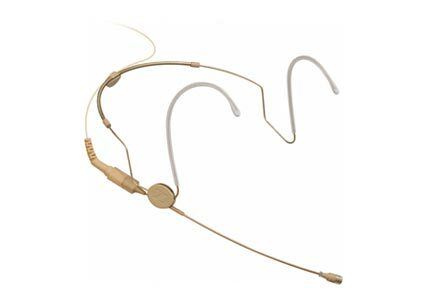 High-quality permanently polarized condenser headmic with cardioid pick-up pattern, designed for professional "hands-free" applications. 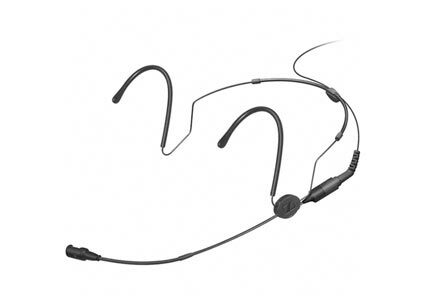 The adjustable neckband is visually unobtrusive and very comfortable to wear. The twelve available HSP 4 variants differ in color, size and connector.